305 in stock Need More ? 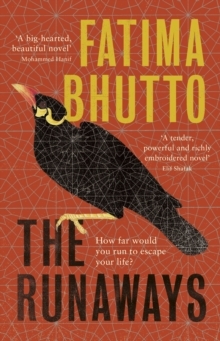 'Bhutto's new novel will move you with its profound wisdom and sharp grasp of our turbulent times' Elif Shafak 'This is a bold and probing novel, from a writer strikingly alert to something small and true' Guardian______________________________ How far would you run to escape your life?Anita lives in Karachi's biggest slum. Her mother is a maalish wali, paid to massage the tired bones of rich women. But Anita's life will change forever when she meets her elderly neighbour, a man whose shelves of books promise an escape to a different world. On the other side of Karachi lives Monty, whose father owns half the city and expects great things of him. But when a beautiful and rebellious girl joins his school, Monty will find his life going in a very different direction. Sunny's father left India and went to England to give his son the opportunities he never had. Yet Sunny doesn't fit in anywhere. It's only when his charismatic cousin comes back into his life that he realises his life could hold more possibilities than he ever imagined.